Women have always been going in the woods to hike and explore. Some of the most inspiring hikers have been women, especially in times when it was not embraced as common. 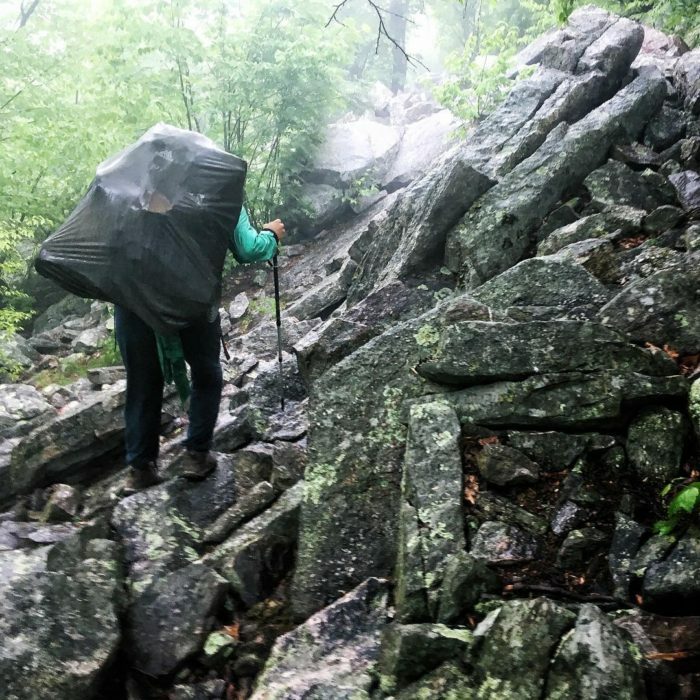 Like “Grandma Gatewood,” the 67-year-old woman who solo hiked the Appalachian Trail in 1955. 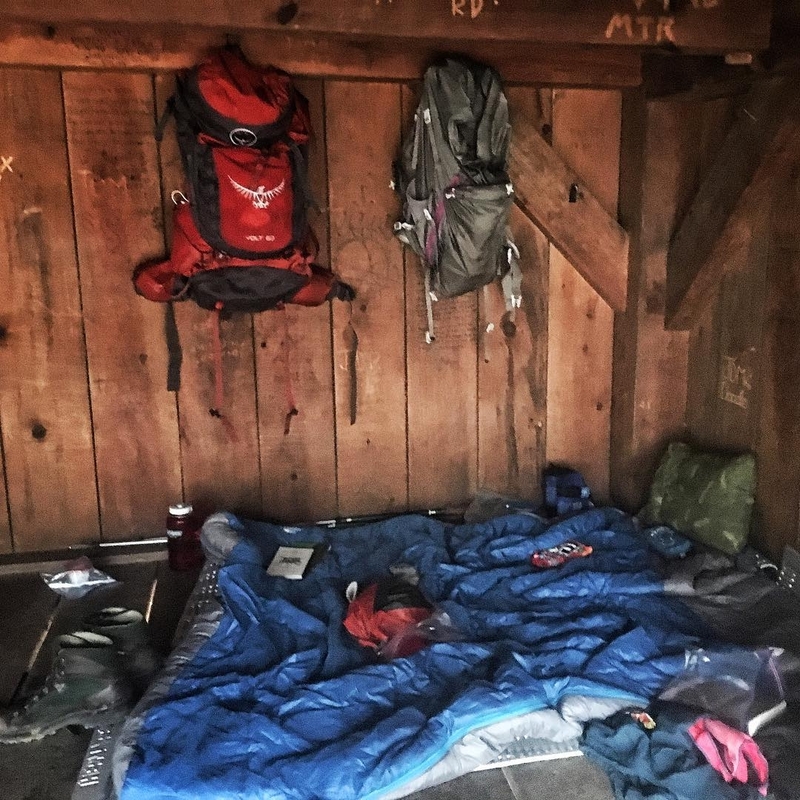 She is inspiring because she not only completed the physically demanding long-distance trail, but she did it with nearly no recognizable equipment. She famously was attired in Keds and had a homemade denim bags slung over one shoulder. Stories like Grandma Gatewood’s calls into question the importance of tailored equipment. Especially when there is a marketing insistence that the right equipment can make or break a thru-hike. The past 10 years has seen a marked growth in women’s-specific hiking gear. According to the Appalachian Trail Conservancy (ATC), the percentage of female thru-hikers went from 15% to 29% in 2016. This is being recognized by the big-name backpacking brands, with specific marketing campaigns designed to target this audience. The worry is that women’s-specific equipment and marketing is just an excuse to raise prices. Just because they slapped a “For Women” tag on the item, they can charge more. Women have had to deal with trivial and patronizing marketing campaigns, such as the “shrink it and pink it” trend. This equipment might look “cute,” does nothing to improve a women’s experience. For an activity like hiking, where properly fitted gear can make such a difference, it’s easy to see why some women are apprehensive about diving into women’s hiking gear. I approached two of the major backpack companies, Osprey and Gregory, and asked them about their female-focused marketing. The full interviews can be seen on my blog. People’s bodies come in all different shapes and sizes, and no equipment is going to fit all body types perfectly. It was interesting to hear from Osprey and Gregory how they approached this difficult task. Both insist that the most important part of choosing a bag is to have it fit right. No matter what gender the bag says it is designed for. Sometimes a men’s bag will fit a woman better. Sometimes a woman’s bag will fit a man better. Gregory insists that “it’s most important to go to a certified dealer and get the proper fit”. Osprey agrees when they say “body specific fit is most important in a pack fit.” Not being confined by gender is insisted on by both companies. What can be taken away from this is that even if gendered bags are a starting point of seeing how things fit, when you are looking for a bag you should try on the other gender’s bag as well to see if it fits you better. This, to me, indicates that Gregory has put more of a design element into their women’s bags. That they have a design more catered to how a woman’s body holds weight naturally. However, Gregory as well as Osprey encourage trying the other gender’s bag to see if it fits better. Generalizing based on gender can get in the way of a hiker finding her perfectly fitted backpack. The marketing approach of both Osprey and Gregory goes beyond how they sell bags. Gregory makes an effort to show how their bags are tailored to a woman’s body compared to their men’s bags. Then both companies spend the majority of their marketing working on empowering and working with a hiking community of women. Some of the women focused groups they worked with are below. These companies are shining examples of how the hiking community is focused on empowering women to get outdoors and be confident with it. Osprey described the most important factor of their testing period with Cassie Tweed (Design Director) and Rosie Mansfield (Product Manager). They said that what evolved most was “a community and conversation amongst women and for women.” Gregory also often mention the importance of community and connecting with their women clients. There testing period was built on conversation with women of all skill levels who were trying out their bags and giving feed back upon them. To see more, I highly encourage checking out the full interviews. They gave a lot more information than I could fit in this post! 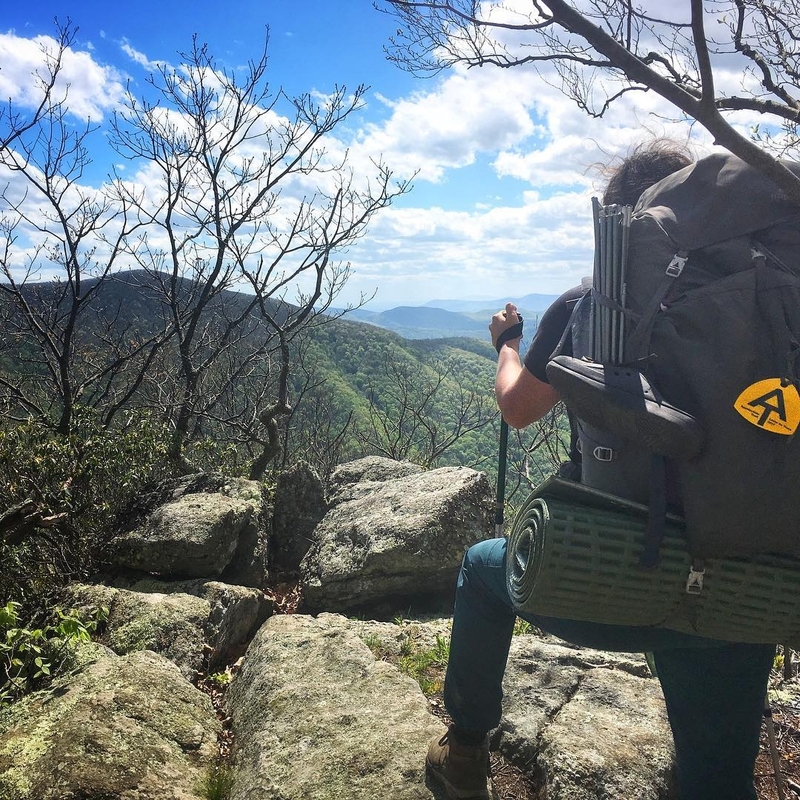 During my 2017 Appalachian Trail thru-hike, I ended up using women’s pack from both Gregory and Osprey. I started with a Gregory Women’s J63 L. This bag had already gone with me on a 630 mile trek around the south west coat of England and I had hoped that it would last for my Appalachian hike as well. However, in the woods of Massachusetts the wear and tear of treating my bag as if it was indestructible caught up with me. One shoulder strap ripped from where it attaches to the pack. I ended up replacing the bag with an Osprey Ariel AG 65 L.
This is where Osprey’s commitment to customer service really shines through. Osprey is the most popular backpack on the trail both for men and women. I think a large part of this is their warranty program and connection to the hiking community on these long trails. I hiked with a woman named Maddie Lechance, or Sprout to everyone on the trail, who began to have problems with her Osprey bag in the first four hundred miles. The hip belt was getting to the point where she couldn’t tighten it any more. Weight loss is something that inevitably happens on a long distance trek and so having room on a hip belt is important. Otherwise all the weight ends up on your shoulders which can cause real problems down the line. She went into Mt. Roger’s Outfitters in Damascus, Virginia to see if they could help. They definitely helped. The people who worked there were helpful, knowledgeable, and kind. They saw that the bag Sprout had was designed for shorter hikes. She had gotten it years ago when she was right out of high school. Even though the bag was old, and probably discontinued, they gave her a new Osprey trekking bag free of charge. It was certainly an upgrade and made a difference for the remainder of her hike. Mt. Roger’s Outfitters could do this because of Osprey’s exchange policy. They are so dedicated to their consumer base that if there is something wrong they will fix or exchange the bag for no cost. No questions asked. Which, when you are in the middle of the woods and worried about what might happen if there is an equipment fail, is a comforting notion. I was in the middle of my thru-hike and didn’t have the time or ability to send it in and then wait for a replacement. I needed something immediately. When I explained this, the person I was talking to insisted that I would have to send it in before anything else could happen. So I had to go to the nearest Outfitters and buy an Osprey. Even though I loved my Gregory bag, I needed the warranty that Osprey provided. However, I soon found out that for my body, Osprey was not the right choice for me. I went to EMS and had my bag properly fitted to my body by an employee there. She measured my spine and we talked at length about which bag would fit the best. In the end I went with the Ariel AG 65L. I packed all of my gear into it and got back on the trail at Bennington, Vermont. The first day of breaking it in was rough. For one, the weight distribution was completely different. I had been used to my bag settling around my hips and lower back in a way that felt very comfortable. I was able to hold larger loads than I originally thought because the bag settled on my body in a way that worked well for me. With the Ariel the weight felt like it was settled much higher on my back – I felt most of the strain between my shoulder blades and upper back. This left me feeling a little off balanced and unnatural. 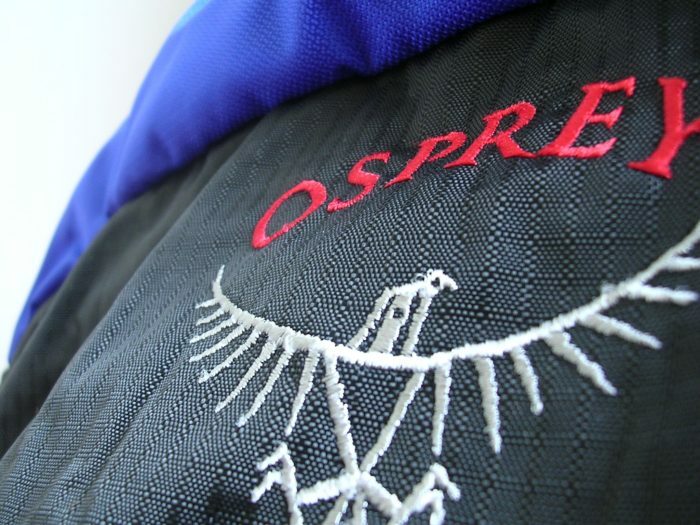 Where the Gregory bag felt like it had become a part of me, the Osprey always felt like I was carrying a burden. Another issue I had was with the Anti-Gravity. While it worked beautifully under 30 lbs, if I overloaded my bag at all it felt like the AG completely gave up. It would go from feeling doable to immensely overburdened with just a few pounds of difference. The first day back on the trail with a new bag, I didn’t know if I was going to be able to make it. My bag was probably overfilled. We had just left a fellow thru hikers grandmother’s house and she was kind and generous with all sorts of home cooked foods. My bag felt like it was actively working against me. I had tightened the hip belt as much as I could because the weight was uncomfortably on my shoulders. I apparently had tightened it too much because halfway up the hill my legs started to go numb to the point where I was not able to control them fully. For me, this was a terrifying feeling. Having my body completely under my control was a necessary part of hiking this trail. My partner also had an Osprey bag and helped me readjust it so my legs did not lose feeling. He also took some weight from me which allowed the Antigravity system to work better. So I did end up making it through the first day. And the next. And for the rest of the trip with the Osprey. I never fell in love with that backpack like I had my Gregory bag. My Gregory J63 felt like a friend. Always reliable and comfortable. I could pack that thing so full that people would comment on how it looked like a behemoth. It had a great wide mouthed top so even though it was 2 liters less than the Osprey, it could fit a lot more. The Osprey was designed very vertically and so everything needed to be placed carefully to maximize all 65 L. The Gregory settled on my body in a way that maximized my strength and never felt like a burden. Even when I had packed way more weight in it than I should have. The Gregory was also quite pliable and therefore never chaffed me. When I got off of Katahdin, I had strips of raw skin around my waist and under my arm pits from the Ariel. I think it just did not fit my body as well as the Gregory. It was designed to be stiff to maintain its shape and integrity but in doing so chaffed my body severely even with anti-chaffing creams and preventative measures. If it wasn’t so close to the end of the hike, I would probably have had to take time off the hike to heal. I was often bleeding by the end of the day because of the chaffing. Which was not exactly a pleasant way to end the hike! However, because of Osprey’s return policy I know that the next hike I go on, I can exchange my bag for something that will fit me better next time. When it comes to backpacks designed and marketed for women, the most important thing is to see how it fits. Getting gear that is fitted to the length of your body and proportions is key. Checking out the other gender’s gear options should be part of the process of find a bag. That goes for men too, sometimes women’s bags fit men better then men’s bags. 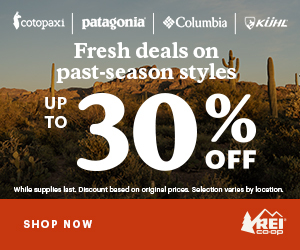 The marketing campaigns that both Osprey and Gregory do is focused on empowering women to get out into nature. They work with women centric groups in order to get feedback, but also to create hiking communities that are not dominated my men. Which when out on the main hiking trails, seems to be the norm. This will hopefully change though, and having gear specifically made for women helps! When it comes down to design, it appears that Gregory has done more to alter the bag for a woman’s body. This is apparent both in my own anecdotal evidence and through the information provided by their company. Anecdotal evidence should always be taken as a suggestion not fact. Though a Gregory bag worked wonderfully for me, it could work terribly for another person. Everyone has a different body type and therefore gear will fit differently. However, Gregory’s design elements focusing where women prefer to hold weight and a focus on body curvature does help. Their bags are not in the vein of “shrink it and pink it” but truly designed for a woman’s body instead of a men’s. You completely ignore the manufacturer that makes one of the best backpacks for women out there: Granite Gear. Not only do they make a backpack that will accommodate a torso as short as 14″, but they have female body specific shoulder strap assemblies and female specific hipbelts. And while Granite Gear offers a complete lifetime warranty, very seldom does a Granite Gear backpack owner have to resort to warranty service because they are so damned bombproof. So please take Granite Gear into consideration and stop pushing the two that spend the most on marketing and merchandising. Granite Gear does make terrific bags! They’re in our Best Of 2017 pack selection. You make great points… thoughts that could have been conveyed without so much hostility. There’s no point in getting angry, is there?